It's that time of year; summer sales in full swing and all the fall stuff is starting to hit the shelves. Fall for me is a time to reinvent my look and attitude towards fashion; not to mention cozy sweaters, walks amongst fiery coloured leaves and the smell of smoky wood burning in the fireplace. 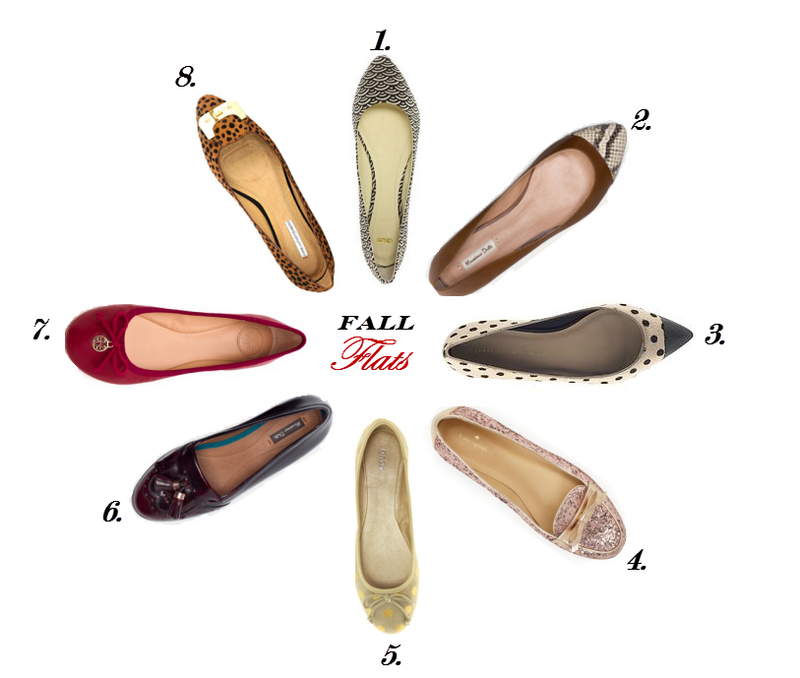 I thought I would kick off my fall fashion series with flats. They are easy to wear now, and transition into the next season. See anything you fancy from my top fall flat picks?